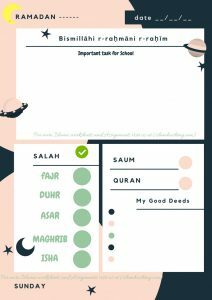 If you are looking for some Dua cards especially with the Daily recommended Dua a child should learn , We have created some Dua cards that you can Print out . You can also print them out and Put them on Wall as a reminder for your child to make dhikr . You can print them as cards .When you buy these dua cards ,you get 2 pdfs one is full page dua and the other is a pdf with 4 cards.